On most days, you don’t quite need the full capacity of the boot. But then there are days when a large boot is a much-needed blessing. With renovation work in progress at my house, I had to move around with a lot of luggage. And the 350-litre boot of the Nexon was indeed quite helpful. It does not have the capacity of some sub-4 metre sedans, but removing the parcel tray allows larger items to be loaded. 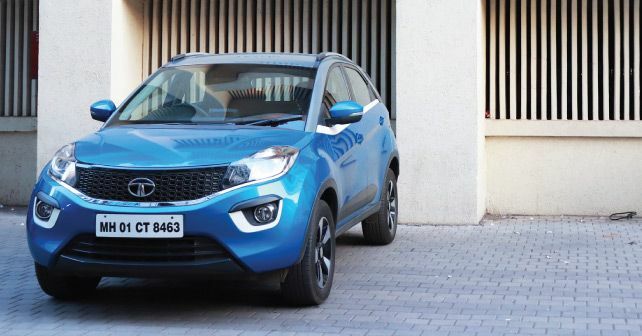 As usual after the Mumbai monsoon,the roads are riddled with holes, which can be a problem for many but not for the Nexon as there’s very little that unsettles it. The ride quality is supreme, and the 209mm of ground clearance ensures that the underbelly doesn’t scrape. The linear spread of torque from 1,700rpm makes it easy to drive on such roads and in traffic. The gearing is absolutely spot-on too – short first few gears for ease of driving in the city and taller fifth and sixth cogs for highway cruising. The ratios also somewhat mask the notchy nature of the gearbox. While there has been a noticeable improvement in the quality of all Tata offerings, scope of improvement is easily visible. Certain plastic parts are flimsy and rob the premium feel of the Nexon. On a few occasions, while making U-turns, we also found that the steering stiffens up ridiculously – an issue that necessitates a visit to the service centre.